On a scale of 1 – on fire, how atrociously hot are you today? NYC is absolutely boiling right now, oppressing it’s already irritable citizens with thick, swampy air and a heat index that makes the atmosphere look like trippy, Dali-inspired waves. Somehow I’m managing to not completely burst into flames, but that could change at any minute. So before I spontaneously combust, let’s eat some chicken with cherries, shall we? 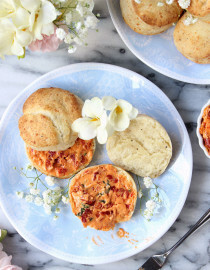 Remember when we discussed summer comfort food a few weeks back? This recipe is just like that – warm, inviting, yet still undeniably crisp and fresh. Given the current climate I’ve been relying on mostly raw foods to keep me cool – Think salads, smoothies, and a plethora of fresh fruit. But after awhile a gal needs a proper warmed-up meal, no matter what the temperature dictates. 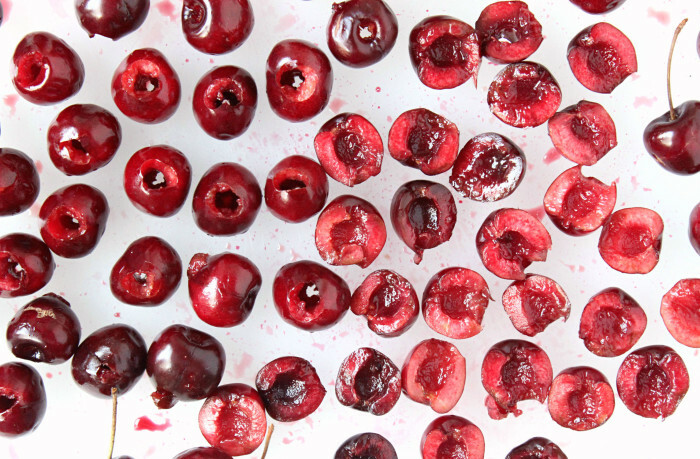 So after fielding my kitchen for existing resources, I decided to make the most out of some leftover cherries + a pound of frozen chicken, and what happened next was pretty damn fantastic. I love being able to find inspiration with what’s available on hand – It’s cost-effective, environmentally conscious, and socially responsible, so I’ve increasingly made it a motto. 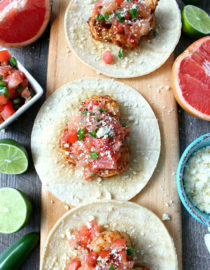 One thing I’ve learned about cooking is that your next great meal is probably already in your kitchen, so don’t always listen to that knee-jerk reaction to run out to the store. Inventive cooking opportunities come out of necessity, so when you force yourself to work with what you’ve got, that’s when the creativity really starts. For whatever reason I immediately knew that butter-sautéed cherries would be an excellent match for my chicken, and though I have no tangible source for this notion, my gut feeling was completely spot on. A simple blend of salted butter, cherries, and a touch of sugar produced that gorgeous marsala confection you see up there ^^^, and when I say quick sauté, I mean QUICK! Just five minutes is all ya need for these beauties. 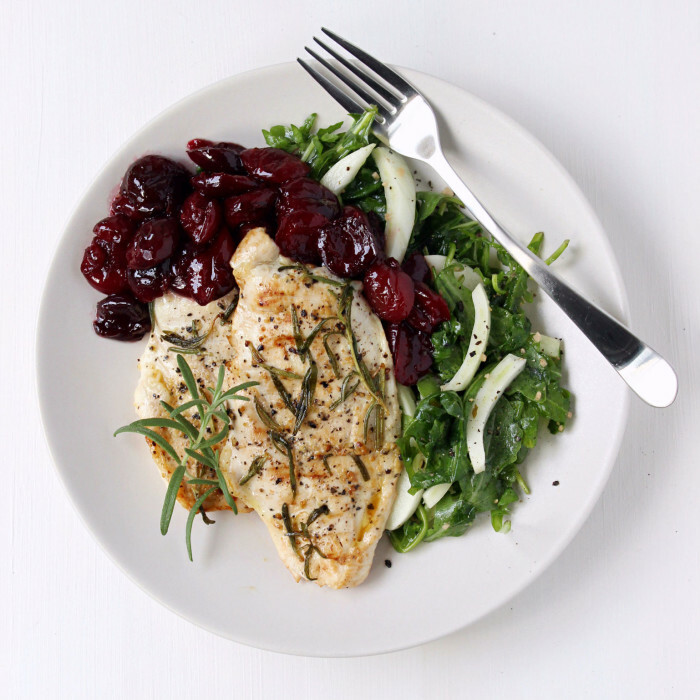 But before I plopped my cherries over chicken for inevitable sweet-meets-savory magic, my poultry needed a flavor profile, and that’s where my herb garden came into play. My beloved urban herb garden (say that 3x!) continues to flourish despite this burdensome weather, so I’m currently blessed with an abundance of herb options right at my disposal. Basil, oregano, and cilantro are all members of my expansive selection, but for this recipe all I could think was rosemary. 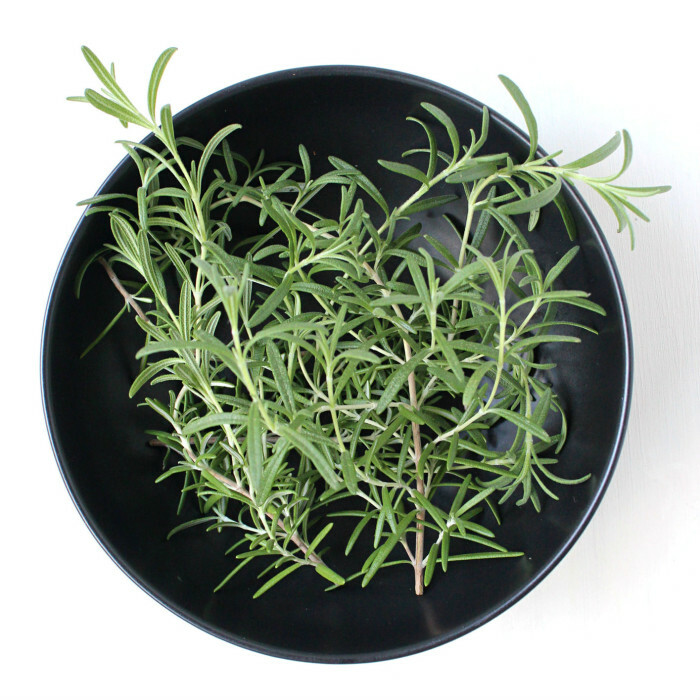 Rosemary is by far my favorite herb, I love it for its wildly fragrant smell and strong, robust flavor. 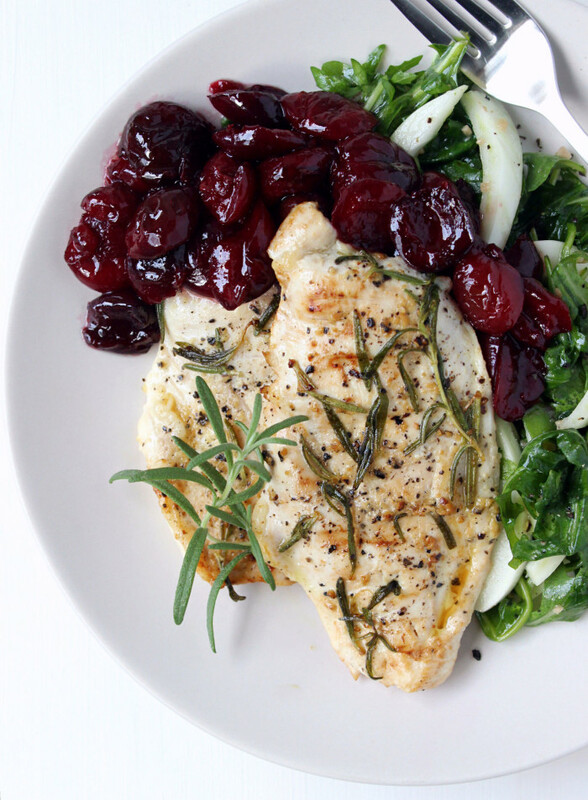 So with my rosemary bush in glorious full bloom, I knew its potent taste mixed with olive oil, garlic, and lemon would not just bring major flavor to my chicken, it’d compliment the cherries and make the entire dish whole. 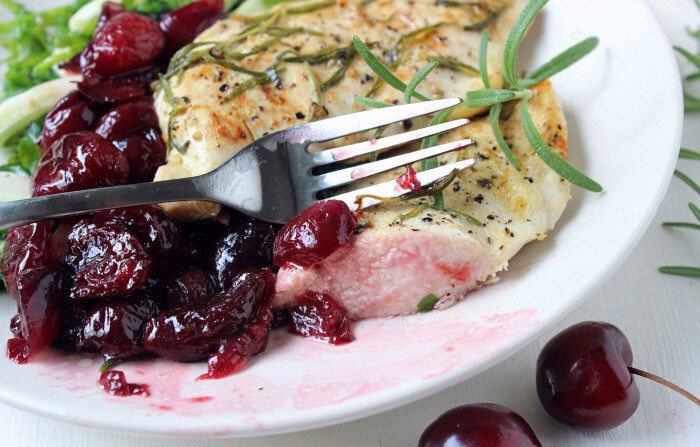 The combination of savory chicken + sweet cherries was a pure joy from both a flavor and texture perspective, I can’t stress enough how tender, juicy, and delightful this entire meal was. 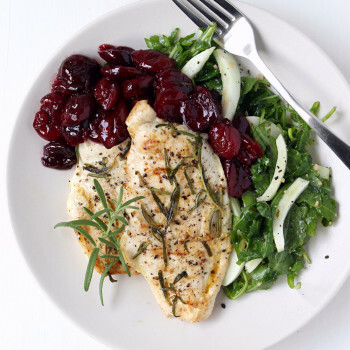 While sautéing the cherries become caramelized amidst a thick, syrupy sauce, creating a taste that is utterly divine on it’s own, let alone when matched with the pungent rosemary chicken. And even though these two elements paired perfectly together, I still felt that a final, crisp finish was needed. So to add more summery appeal and a needed burst of freshness, a simple mix of minty fennel + cool arugula was enlisted to elevate this dish to mandatory, heat-wave cuisine. In large bowl combine rosemary, EVOO, garlic, and lemon juice, whisking until well combined. Next, on cutting board generously season chicken breasts with salt & pepper on either side, then transfer to baking dish. 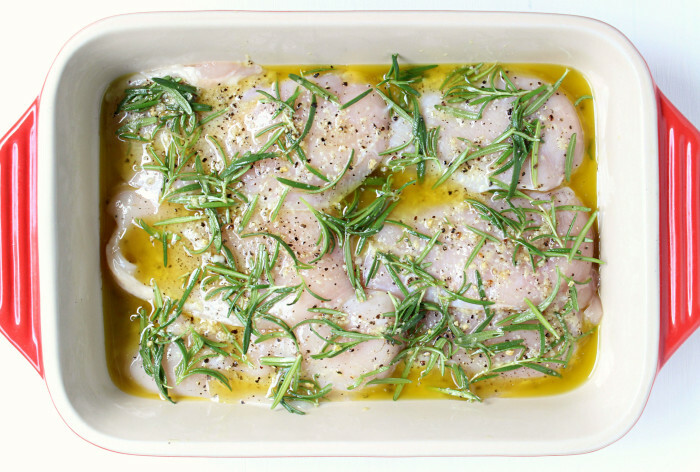 Pour over chicken with rosemary marinade, then place in refrigerator to marinate for at least 1 hour. 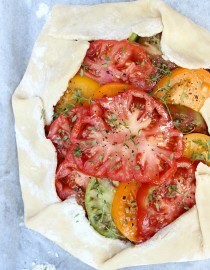 Just before cooking, toss together salad. Set aside. 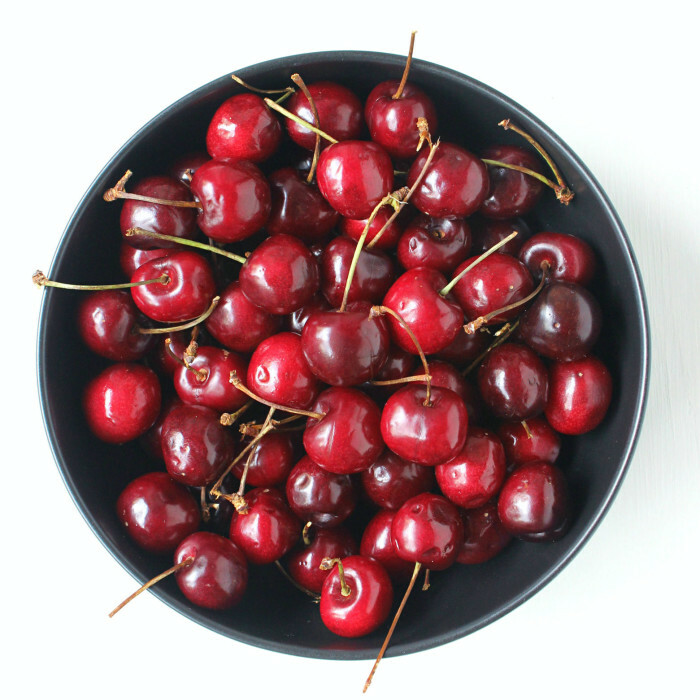 When ready, begin by cooking the cherries. In large skillet heat butter over medium-high flame until melted, then stir in cherries and sugar. 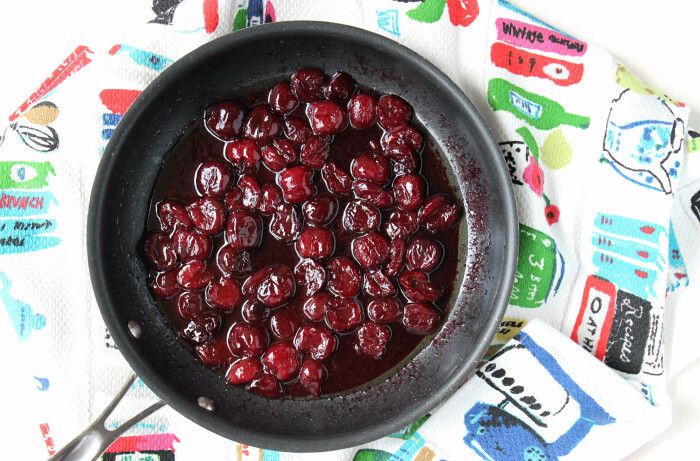 Cover skillet and allow cherries to simmer at a rolling boil for 5-6 minutes until thickened and slightly syrupy, then remove from heat. Set aside. Amply grease grill or grill pan, then heat over medium-high flame. Once hot, grill chicken breasts until cooked through, ~2 minutes on either side. Repeat until all chicken is cooked. 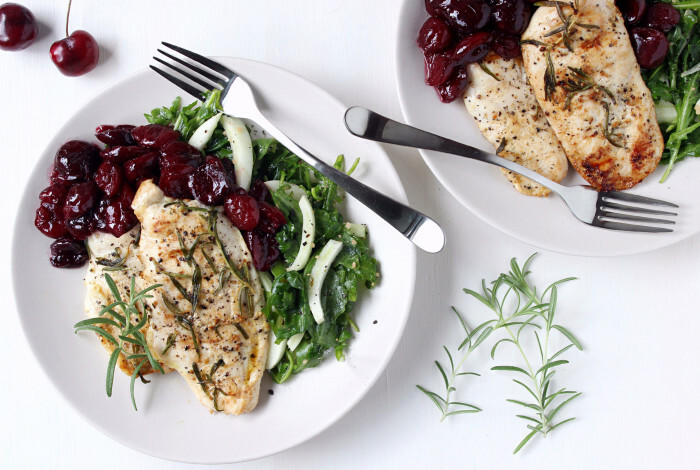 Plate meal with a helping of salad, cherries, and chicken, then eat! 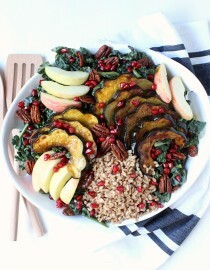 Sounds like a quick, delicious and balanced meal to me! I have a special place in my heart for rosemary! My grandfather always cooked with it, so it has sentimental value to me as well. 8 months pregnant + this heat = one mama who stays inside! This looks so refreshing! 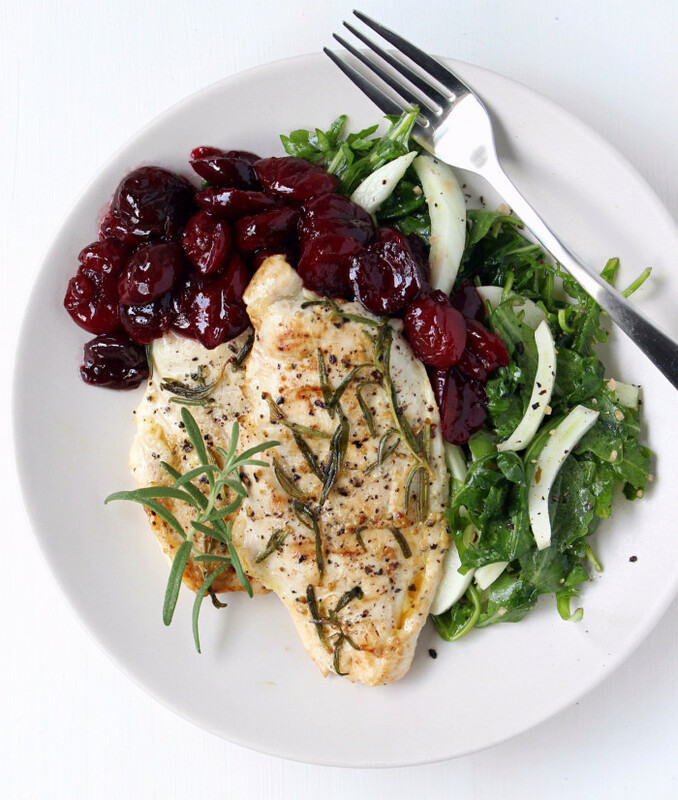 I would have never thought of pairing cherries and chicken but it sounds great especially with the rosemary! 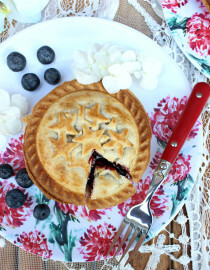 Loving the cherries in this dish! And ohmygosh the heat is killing me. Is it fall yet? !